in working with injuries and pathologies. Julia encountered Pilates both through her professional career and as a patient; this has spurred her passion for helping people to return to a functional way of living. She feels that Pilates offers many positive effects, both physically and mentally, and that it can be used as a tool for improved health and body awareness. 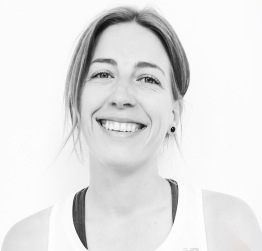 Julia offers personal training, duo training and pre/postnatal training sessions.